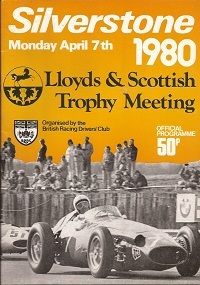 Donington 500 event dated 4 and 5th May 1985. 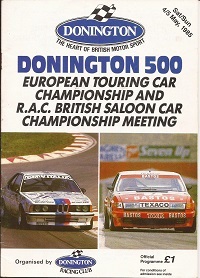 Includes supporting saloon car races and more. In good condition with some pen inscriptions. 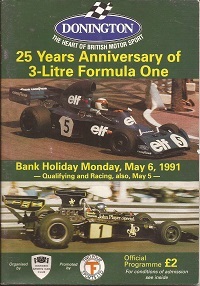 Dated 7th April 1980 and featuring sports cars, Formula Ford, saloon cars and more. Good condition with some pen inscriptions. 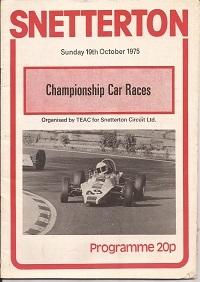 Dated 19th October 1975 & featuring Formula Ford, saloon cars, Mini 7, plus more. In good condition. Held at Donnington on 6th May 1991. 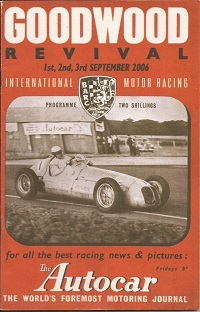 Featuring an array of historic racing machinery and races. In good condition. 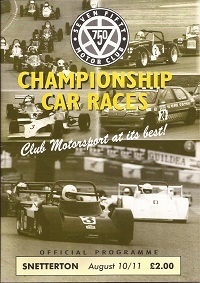 Includes Locost Championship, Formula Vee Championship, Historic races and more. In good order. Dated September 2006. Foreward by Phil Hill and featuring an amazing array of incredible historic racing cars. In good order. 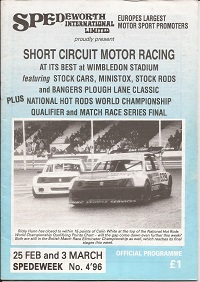 Dated 1996 and featuring Stock cars, Bangers, Hot rods and more. In good condition. 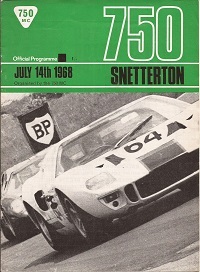 Event programme dated 14th July 1968 and featuring sports & GT cars, Mini 7 Formula cars and more. ICollectable and in good order with some pen inscriptions inside. 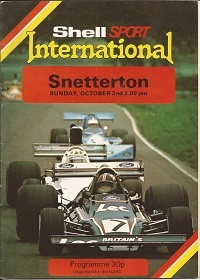 Dated October 2nd 1977 and featuring, Formula Ford, saloon cars, and sport cars. In good condition with some pen inscriptions.